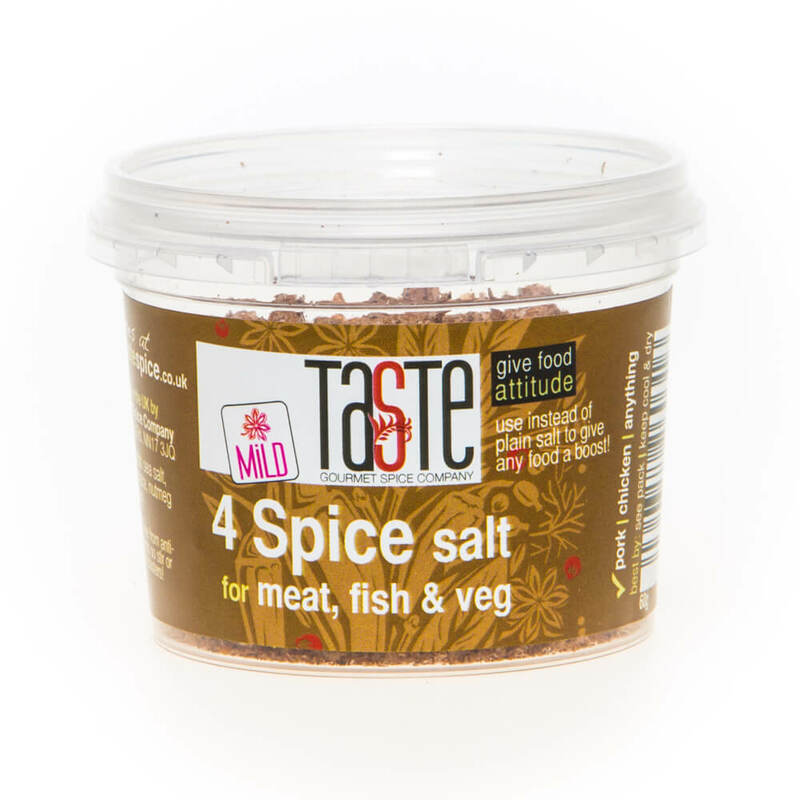 Hand-harvested, pure & natural British sea salt with an aromatic & earthy blend of 4 classic spices: mace, nutmeg, cinnamon & allspice. Great with lamb or other meats – try a pinch on scrambled eggs, fries or potato wedges for a real boost! One of our most versatile salts and the one by our own cooker! Allspice, cinnamon, mace, nutmeg, salt, sea salt.